I was shocked to hear him say this. Did he really take such things into consideration as he cut into my skin and broke apart my sternum in order to reach into my body, stop my heart from beating and divert my blood flow to a bypass machine? My bandages were removed almost immediately after surgery, so that my wound could benefit from the circulation of air, and several times a day someone would check on my incision site’s healing progress. So there was a lot of attention placed upon this area of my anatomy. In the initial days following my surgery, I would occasionally catch a glimpse of my chest and be a bit taken aback, almost by surprise. “How did that get there?” I sometimes wondered as my mind tried to catch up with what had occurred in the whirlwind of activity during the preceding days. I was not ever upset about it, just somewhat startled. And although I had received many, many comments from others in the hospital (“Oh I see you have a ‘zipper,’” said one woman who shared an elevator ride with me), I not once worried about how my scar looked; I was never embarrassed by it or concerned about what others would think of it. Six weeks later, as I was recovering at home, I found myself watching an awards show on television. I kept feeling like something was wrong with the appearance of the women on the screen. I went through a mental check-list in an attempt to determine what was missing in their appearance: Dramatic hairstyles, perfectly applied artificial tans and make-up, couture gowns designed just for them – all the usual components of contemporary Hollywood adornment were present. Yet something seemed amiss; what was it? Finally, it dawned on me: they didn’t have scars! Their décolletages looked so bland, so boring. In six, short weeks I had shifted from considering a scar-free chest to be the norm to thinking that women who were missing marks in this area looked somehow odd. Heart surgery incision marks were now my new standard, my new “normal.” How surprising to find that I had changed my vantage point so easily and quickly. I had begun to associate such scars with beauty; and that was a lovely thing for me during this time of recovery, this period when I was recreating and reclaiming what health and wellness were for me. I easily could have used our society’s standards to judge myself based on how my chest looked, most specifically how it deviated from the norms I was shown in magazines and on television. Thankfully, I did not do this. Other people in my life had also begun to make their own associations between my scar and whatever it seemed to represent for them. My husband always called it my “badge of courage,” denoting his admiration for the depths of fortitude I tapped into during this period. My son, on the other hand, immediately began to point to my scar and to call it, “Mama’s angel.” He was fourteen months old when I had that surgery, and yet he had an experience (who knows what that experience was? Perhaps he had envisioned an ethereal body floating around that area of my body? Maybe he overheard someone discussing my donor as an “angel” and connected that with my body?) and turned that into a way to view a portion of my body. He had created a lens through which to “see” what his eyes saw. 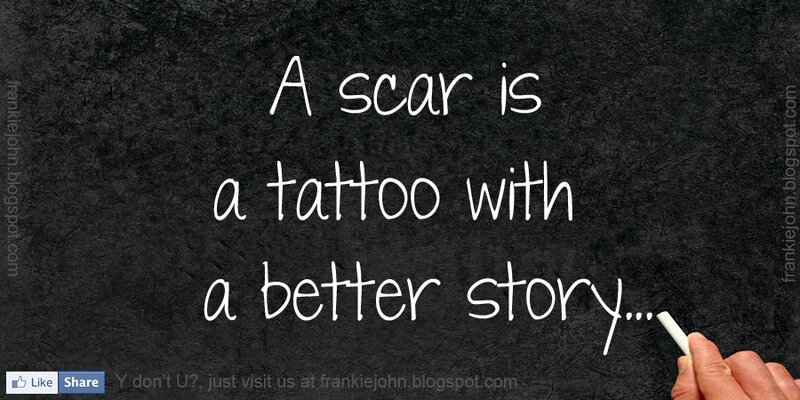 My favorite response to my scar came from a five-year-old boy named Hunter, my daughter’s kindergarten classmate. One Wednesday morning, as I settled onto the “story carpet” for my weekly volunteer time with the kiddos, I noticed Hunter looking intently at me. Slowly, he got up, shuffled across the rug, and dropped his small body into my lap. Turning toward me, he looked into my eyes, then down at my chest; with one small finger he pointed to my scar. Then he lifted his own shirt and showed me that he too had a similar mark. Like many other people with Down Syndrome, Hunter had a congenital heart condition – one that had been treated with surgery shortly after his birth. What Hunter taught me with that short interaction has never left me. 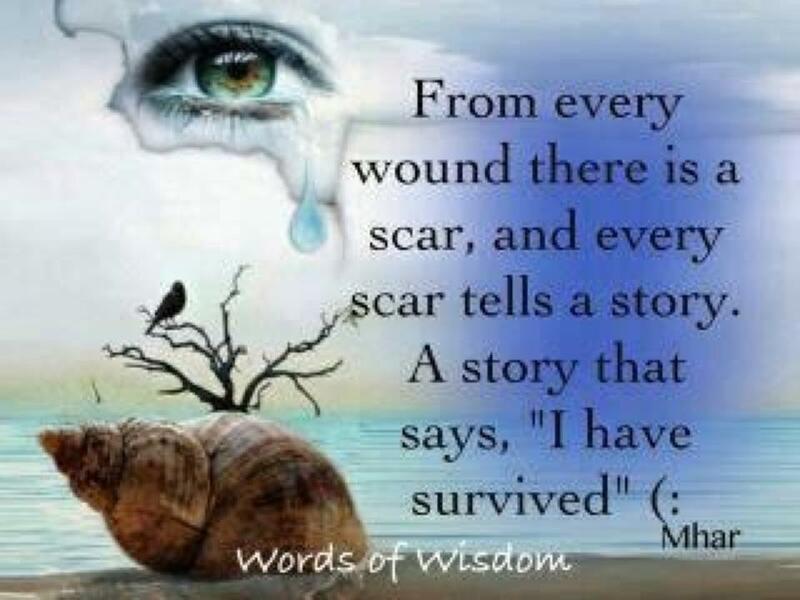 If we live long enough, we each will acquire scars, some of them physical and many of them psychological or emotional. The marks will often be the result of incidents that set us apart from others – an accident, surgery, abuse, or some other form of trauma. They may be accompanied by dramatic stories or by mundane tales of everyday mishaps. As indicators of past events, they may be somewhat noteworthy. Their fullest power, however, lies not in their particularity, in each one’s specific story, however interesting that may be. Rather, when we use them to connect with others, as Hunter did, we know that our scars have truly made a mark.